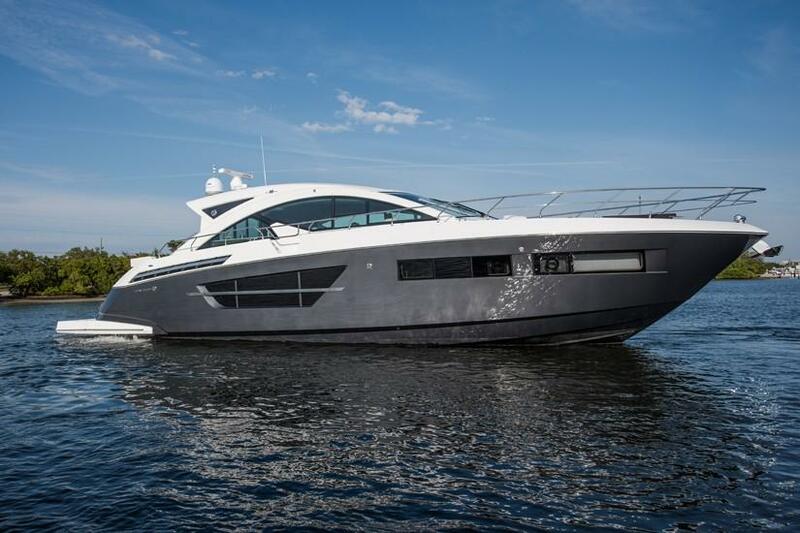 Cruisers Yachts is a leading American boat manufacturer with a history dating back to 1904, building express cruisers and motor yachts at its two Wisconsin facilities. 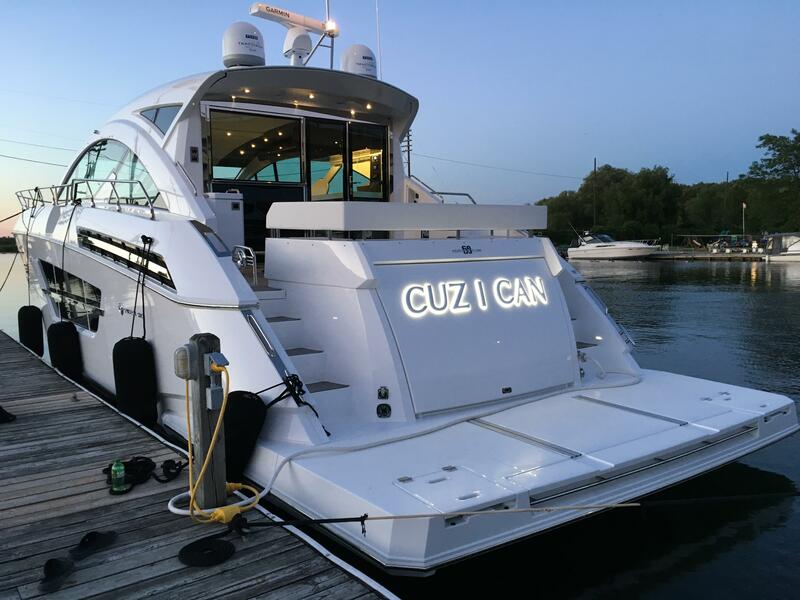 The team at Cruisers Yachts is committed to the quality of its customers’ experience, providing a Customer Relations department to satisfy all customer needs. Worth Noting: Cruisers Yachts employs over 450 people at 2 facilities in Wisconsin. 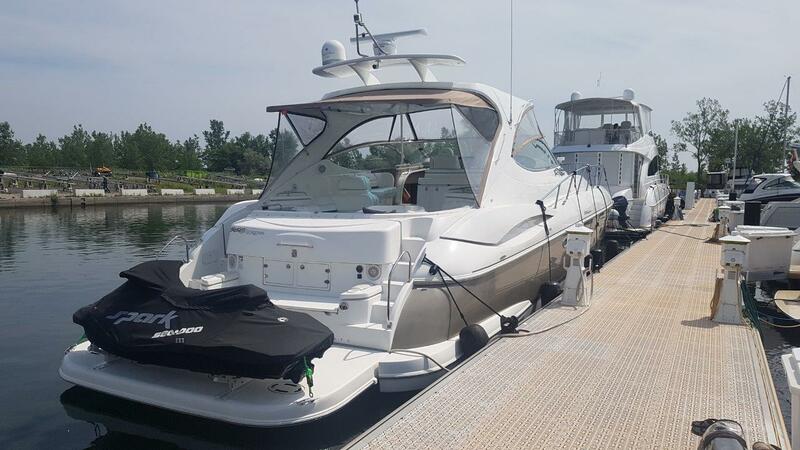 Cruisers Yachts 310 Express 2006 - Current 32' 3" 10' 6" 3' 0"
Cruisers Yachts 328 Bowrider 2012 - Current 32' 11" 10' 10" 3' 0"
Cruisers Yachts 3075 Express 1997 - Current 33' 4" 10' 4" 2' 9"
Cruisers Yachts 3375 Esprit 1996 - 2000 35' 6" 11' 8" 3' 0"
Cruisers Yachts 350 Express 2010 - Current 35' 6" 11' 8" 3' 8"
Cruisers Yachts 3580/3585 Flybridge 1996 - 1999 37' 4" 13' 0" 3' 5"
Cruisers Yachts 380 Express 2011 - Current 38' 0" 12' 6" 3' 0"
Cruisers Yachts 390 Express Coupe 2014 - Current 39' 0" 12' 8" 3' 3"
Cruisers Yachts 3570/3575 Esprit 1995 - 1999 39' 3" 13' 0" 3' 5"
Cruisers Yachts 390 Sports Coupe 2007 - Current 40' 2" 23' 0" 3' 1"
Cruisers Yachts 3870 Express 1998 - Current 40' 8" 13' 6" 3' 0"
Cruisers Yachts 375 Motor Yacht 1995 - 2000 40' 10" 13' 8" 3' 2"
Cruisers Yachts 3850/3950 Aft Cabin MY 1991 - 1997 41' 6" 14' 0" 3' 4"
Cruisers Yachts 395 Motor Yacht 2007 - Current 42' 2" 13' 8" 3' 3"
Cruisers Yachts 405/415 Motoryacht 2003 - Current 42' 6" 13' 6" 3' 6"
Cruisers Yachts 41 Cantius 2012 - Current 42' 8" 13' 0" 3' 4"
Cruisers Yachts 400/420 Express 2003 - Current 43' 0" 13' 6" 3' 6"
Cruisers Yachts 430 Sports Coupe 2011 - Current 43' 0" 13' 6" 11' 5"
Cruisers Yachts 45 Cantius 2012 - Current 45' 0" 14' 6" 10' 0"
Cruisers Yachts 447 Sport Sedan 2007 - Current 45' 2" 14' 6" 3' 10"
Cruisers Yachts 445 Express MY 2000 - Current 45' 6" 15' 4" 3' 3"
Cruisers Yachts 455 Express MotorYacht 2004 - Current 45' 6" 15' 4" 3' 3"
Cruisers Yachts 4270 Express 1997 - Current 46' 6" 14' 0" 3' 6"
Cruisers Yachts 4280 Express Bridge 1988 - 1994 46' 6" 14' 6" 3' 6"
Cruisers Yachts 4285 Express Bridge 1990 - 1995 46' 6" 14' 6" 3' 6"
Cruisers Yachts 440 Express 2003 - Current 46' 9 14' 0" 4' 2"
Cruisers Yachts 48 Cantius 2010 - Current 47' 9" 14' 8" 3' 6"
Cruisers Yachts 497 Sport Sedan 2006 - Current 50' 2" 15' 0" 4' 1"
Cruisers Yachts 540 Sports Coupe 2010 - Current 52' 3" 15' 6" 3' 8"
The Cruisers brand was established by the Thompson family, which has a boat-building legacy dating back to 1904. Cruisers Yachts began operations in 1953 and quickly became known regionally for its wood lapstrake runabouts and cruisers. In keeping pace with the vast majority of Cruiser's competitors, Cruisers Yachts' wood boats were replaced with fiberglass in 1965, in response to a growing demand from customers for fiberglass marine product. In 1980 the fiberglass line of boats was sold to T.J. Bogart and T.A. Lisle (Eaton Corporation). A decade later, K.C. Stock , a local from Oconto, purchased the assets and renamed the company, Cruisers Yachts in 1993. 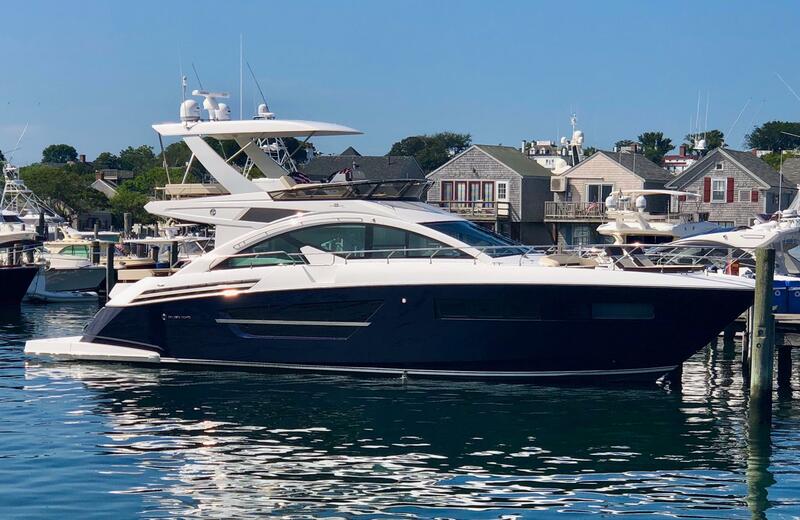 Over the last 50 years, Cruisers Yachts has slowly become one of America's leading boat manufacturers, offering a wide variety of express cruisers and a several large motoryacht models. 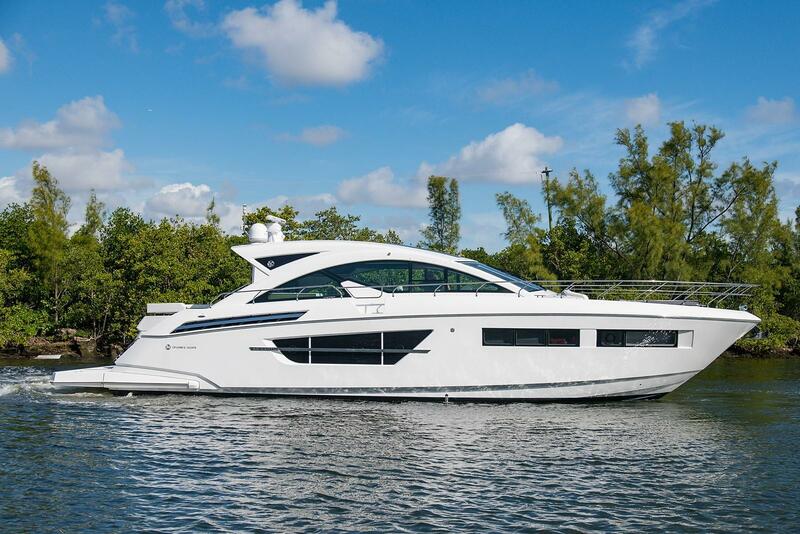 Cruisers are still recognized as well-engineered boats, priced affordably, with wide customer appeal.